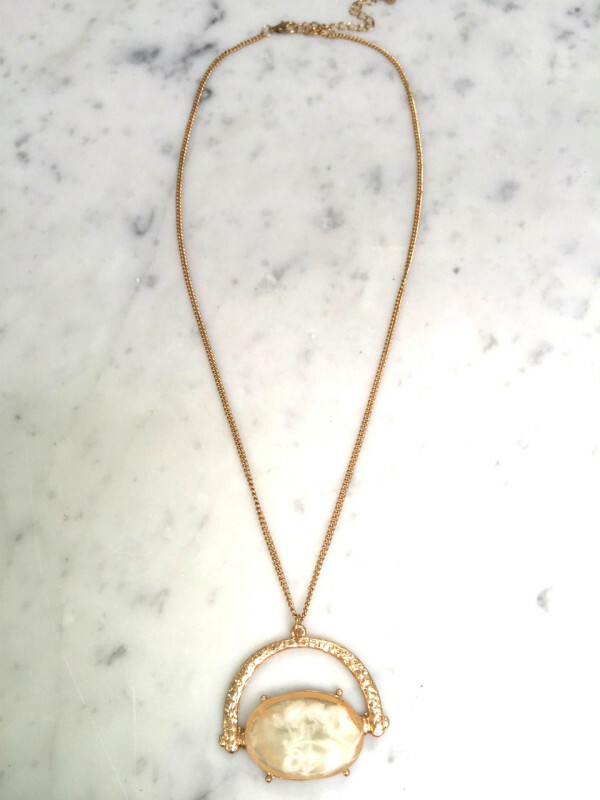 Tags: Angelica, pendant necklace, semi precious stone. 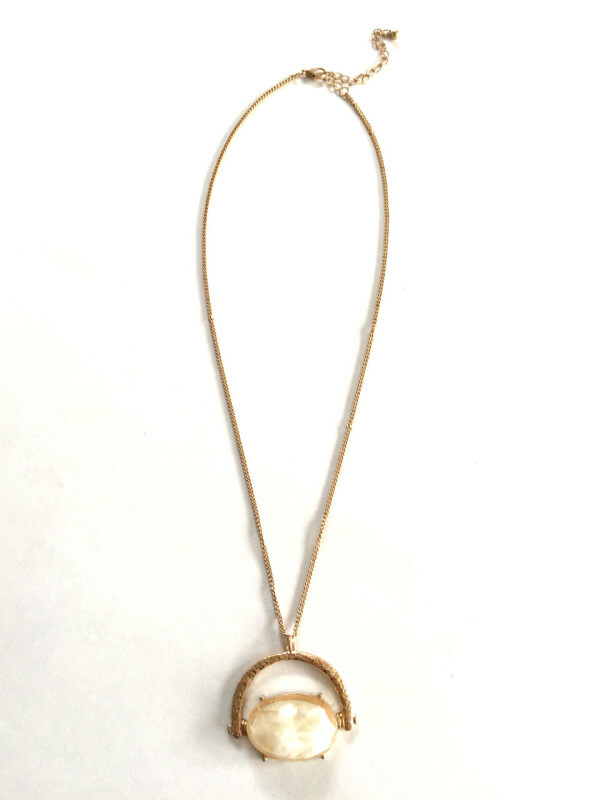 The Angelica necklace is light, purity, and grace, all the characteristics of heavenly angels of which the name derives from. 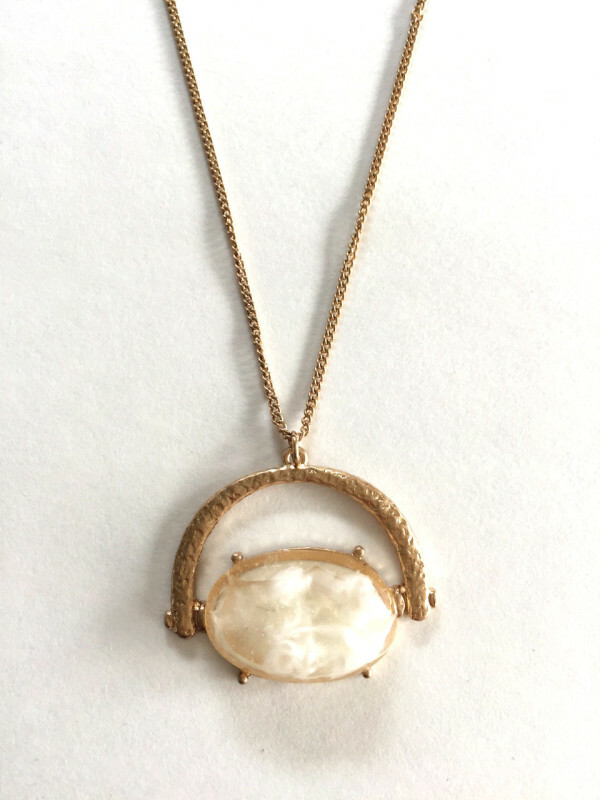 This pendant necklace touts a unique hammered gold crescent pattern encasing an oval white translucent stone pendant reminiscent of fluffy gossamer clouds where the angels dance and play. This semi-precious stone necklace is simple but gives off a poetic vibe, making it a versatile accessory to compliment any casual, professional, or glammed up look.